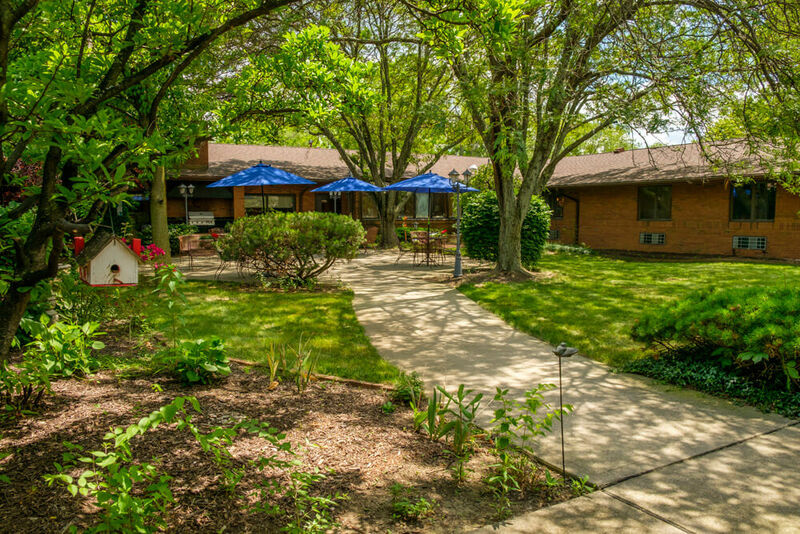 My mom is currently living at an assisted living community in the Columbus, Ohio area. However, her health has deteriorated in the past few months and the community has told us that she will need to go to a long-term care community to receive the proper level of care. The community she’s at doesn’t offer what she needs. I’m worried that when Mom makes the move to long-term care, she won’t enjoy herself. It’s harder for her to walk on her own and she’s been having some memory issues. I don’t want her to be stuck in her room all day because of that. How can a long-term care community help my mom stay active and engaged? How would you get her involved in activities? I understand your concern. When our parents get older and their health isn’t what it once was, it can be difficult for them to keep doing the things they enjoy. Many adult children such as yourself think that will be particularly true when their parents move to a long-term care community, which is a place where they can receive assistance with personal care needs. You don’t need to worry. At a long-term care community, there will be plenty of activities for your mom to enjoy at her own pace. Let me give you a quick overview of how a long-term care community will keep your mom active and engaged. Long-term care communities want to keep residents engaged and entertained—it’s good for their health (more on that below). With that goal in mind, they plan appropriate activities for different interests and abilities. At MacIntosh long-term care communities, our activity teams design activities and programs in a way that they feel will best suit each community. They’re meant to promote independence, creative thinking and social skills. All activities are person-centered, meaning they’re specifically adapted to meet the individual needs of the resident. We encourage residents to participate in activities and help them attend if they have mobility issues. However, we never force them. If they don’t feel like going to a coffee-and-socializing hour, or enjoying some live music, they don’t have to. The social events and activities are not mandatory for residents. Your parent can enjoy things like bingo, brain teasers, visiting musicians, parties, cooking classes, movie viewings and church services. If there’s something that they are interested in but aren’t seeing on the activities calendar, they can always talk to the activities director at the community. I would advise you to look at the activity calendars of each community you and your mom are evaluating. This will help you get an idea of what is available to your mom, and is a good way to get her more excited about making the move. If you’re curious, all the MacIntosh communities have their activity calendars posted online. Here’s the September 2018 activities calendar for West Park as an example. More and more, long-term care communities are focused on hands-on activities as opposed to passive activities. Multiple studies show that staying social and engaging in creative activities can have a positive effect on senior health. People with healthy levels of social well-being may have a lower risk of age-related disorders such as Alzheimer’s disease, arthritis, cardiovascular disease and some forms of cancer. Social isolation can increase the risk of mortality in older adults. Loneliness may cause elevated blood pressure and increase the symptoms of depression. The benefits of long-term care community activities don’t stop at socialization. They also offer creative outlets, which studies have shown can help improve health. Seniors who engaged in artistic activities were 73% less likely to develop mild cognitive impairment. Seniors who participated in things like woodworking and quilting were 45% less likely to develop mild cognitive impairment. Socially active seniors were 55% less likely to have memory problems later in life. Now, on the topic of memory loss, you also mentioned that your mother has been having some memory issues. It may just be some normal age-related memory loss but it may also be dementia. If it’s the latter, you may want to consider a long-term care community that offers memory care so your mother doesn’t have to move again. Memory care communities are specifically designed to help seniors with Alzheimer’s or dementia. They provide a safe and caring environment, as well as activities for those with memory issues. I hope this helps! If you have any further questions, please feel free to contact us. You might also like our guide to long-term care.